At a time when the agitating famers of Madhya Pradesh are planning to intensify their stir, a Congress leader has added fuel to the fire. 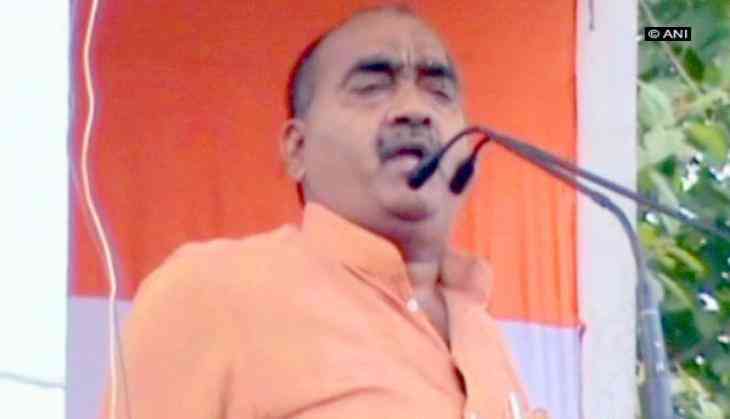 Congress leader Dilip Mishra, while addressing a gathering in Madhya Pradesh's Satna village, said farmers would under the leadership of his party colleague Ajay Singh, would pick up arms against the Bharatiya Janata Party (BJP) government in the state. "Under the leadership of Rahul Bhaiya (Ajay Singh), in the coming time, farmers of Satna village will fire against this government. This Madhya Pradesh government-led by Shivraj Singh Chauhan is murdering the democracy. This government which killed farmers will have to face the same kind of retaliation in the near future," said Mishra. In the past, videos of two Congress MLAs inciting violence in vulnerable region surfaced on the social media. One of the video showed the Congress' legislator from Karaina assembly seat, Shakuntala Khatik, in Shivpuri telling a group of agitators to burn down the local police station. A second video showed Congress MLA from Rau seat, Jeetu Patwari, in an altercation with Indore SDM Sandeep Soni. The officer accuses Patwari of breaking his promise to keep peace in the Chowkram Mandi in Indore.